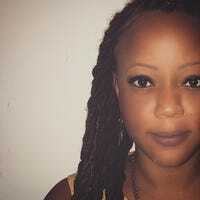 Kenya is a contributing journalist tackling social justice and coverage of Latin America and the Caribbean. A soca and samba junkie, she's somewhere in the world with a camera and a costume. If the country ever gets right, the government will help these men and women rebuild and strengthen the island economies, then melt down all those confederate statues and build a giant one of the man in that header image. Red solo cup and all, showing what strength looks like.